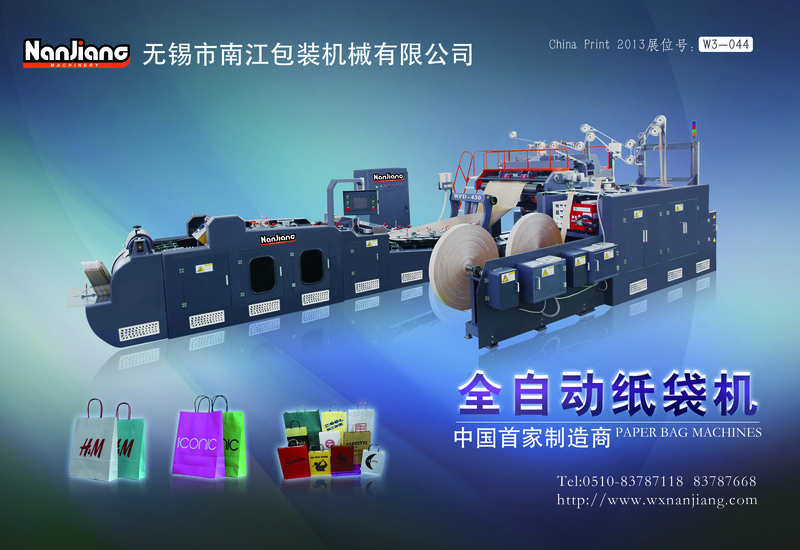 China Print 2013 in Beijing. NANJIANG MACHINERY will have booth at W3-44. We will show Fully automatic Roll Fed Paper bag making machines to help our customers increase the level of automation and quality of paper bag making. Machine Model WFD-430. We are looking forward to your visit our booth. Address：East of Furong 1st Road, Xishan Economic Development Zone, Wuxi city, Jiangsu Province, China. Copyright © 2017 JIANGSU NANJIANG MACHINERY CO.,LTD All rights reserved.